Definition of the name Barker: 1) A tanner of leather, derived from Middle English “bark,” meaning to tan 2) From the Old French “berquier, berchier, bercher, berkier, berker,” meaning shepherd. 3) A variant of the German surname Berger, used to describe a man who lived on or by a hill or mountain, from the Old High German “berg,” meaning mountain. Message from Ian Barker. 10.3.2011. I Have got a lot of common ancestry with the Barker family detailed on the site , would welcome contact to exchange research and hopefully extend my family tree. The following is part of an email sent by Jasmine Marshall to the web site. If anyone has information about the families she mentions please contact this web site. My name is Jasmine Marshall (nee Barker) and I am researching family members who lived at Dallowgill and the surrounding areas. The Barker’s are tied in with the Cundall, King and Umpleby families and I know that they not only attended St. Peter’s at Dallowgill which I visited yesterday with my husband and found lots of evidence which ties up with the information I already have, plus, more that I didn’t know about. Margaret Umpleby (we have never met before) was kind enough to come out in dreadful weather to show us inside the church which I haven’t been in for many years. I know that some of the families also attended the Methodist Church. Where can I find the Methodist Church ? I visited Knott Farm at Dallowgill as a child (relatives) but I cannot remember how to find the other church. I should have asked Margaret for full directions but it was such dreadful weather that I didn’t want to keep her out in it more than was necessary. I also know that Barkers were linked to the other villages around Dallowgill and some worked in service at Grantley Hall. My father was James Christopher Barker, his father was Christopher Barker (Carlesmoor), his father was Joseph Barker and then I believe his father was a John Barker (1796). My father’s mother was Alice Cundall (Ripon) who ended her days as a widow at Knott Farm with her sister Harriott and her husband John King – My father’s Grandfather also married another Alice Cundall from Rainton. Jasmine sent the following Feb 2013.I wonder if you could help me, again, because I have John Barker 1796-1867 who married an Elizabeth and their son Christopher who I am told married an Elizabeth Ingleby 1824-1889. It is on the Barker listing but not on the Ingleby listing. I am still desperately searching for the parents of John and who is Elizabeth? And, is Christopher’s wife really an Ingleby ? The following information obtained from Census returns & Parish Registers. [Researched by Barbara Bradley]. Last update Jan. 2019. ADA BARKER. Born C.1881 Grantley. Dau of John of Sawley. Married ?Porter. In 1911 living with widowed Father & 2 children. Gladys Porter [b.1907] & Doris Porter [b.1909] both born in Thornton le Street. ALFRED BARKER. Born C. 1861 Kirkby Malzeard. Son of William & Anne. ALFRED BARKER. Born C1865 Kirkby Malzeard. A Widower in 1911 in K.Malzeard. ALFRED Y. BARKER. Born 2 Sept. 1873. Married to Helen Mary [born 1870]. He was a retired cotton merchant living Low Laithe in 1939. ALICE BARKER. Of West lea married Thomas Burniston [junior]. of Grewelthorpe on 25.4.1753. ALICE BARKER [Nee Cundall]. Born C. 1853 Dallowgill. Married to Joseph. Aunt of Rosanna Cundall. b.1879 Carlsmoor. & John Swiers. [b1892] Pateley Bridge. ALICE BARKER. Born C. 1880. Winksley. Dau of Sarah of Pateley Bridge. Factory Worker, Drawer in Haworth. 1911. AMELIA BARKER. Born C. 1861 Dallowgill. Dau of George of Ramsgill. Dom Serv. in 1881 for Henry Lofthouse of Grewelthorpe. ANN BARKER. Born C1837 Kirkby Malzeard. Dau of Thomas [basketmaker] & Jane. In 1911 a retired unmarried school teacher in K.Malzeard. She had been teacher at Galphay school. ANN BARKER. * Born C. 1853 Galphay. dau of Matthew [Gamewatcher] & Margaret. Married William Umpleby. ref. 1891 census. ANNIE BARKER. Born C. 1883 Grantley. Dau of John of Sawley. ANNIE ELIZABETH BARKER. Born C. 1891 Kirkby Malzeard. Dau of Mary Jane. A Dressmaker in 1911 in Morley. ANTHONYE BARKER. Born 1633 Masham. Died 1703 Sourmire. Married Elizabeth Kinge. of Masham. Grandfather of Thomas who married Ann Horner. CHARLES BARKER. Born C 1864. Lived Holly House Grewelthorpe in 1936. He was sentenced to 4months in prison for obtaining £50 by false pretences from Mrs Bunning a widow in Melmerby. Ref. Leeds Mercury 1936. CHRISTOPHER BARKER. Born Oct 1742. Son of Thomas & Ann Horner. CHRISTOPHER BARKER. Born C.1870 Carlsmoor. Died 1930. Son of Joseph & Alice Cundall. DAVID BARKER. Born 5 Aug 1935, Son of George & Eugenia of High Bramley Grange. EDITH B.BARKER. Born C. 1882 Markington. Dau of John [Cornmiller] & Alice. EDMOND BARKER. Born 1775 Pott. Died 1835 Masham. Son of George & Ann Hutchinson. Married Mary Hanley. in 1809. He was a spirit merchant. EDWARD BARKER. Bap. 2.5.1786. Grewelthorpe. Son of Edward of Foulgate Nook, Bramley Grange. ELEANOR BARKER. Born C. 1879 Healey. Dau of George & Anna. Living Pott Hall Ilton in 1891. ELIZA BARKER. Born C. 1883 West Cothingworth. Dau of Sarah of Pateley Bridge. Factory Worker, Twister in Haworth in 1911. ELIZABETH BARKER. Born C. 1877 Fairthorn. Dau of George & Anna. Lived Pott Hall Ilton in 1891. ELLEN BARKER. Born C.1831 Dallowgill. In 1871 she was u/m servant for Henry Burlinson. a watchmaker & silversmith in Ripon. ERNEST G. BARKER. Born C.1876 Markington. Son of John [Cornmiller] & Alice. ERNEST BARKER. Born 15.2.1896. Dairy farmer. Son of John & Annie. Married to Sarah A. Barker. Born 1900. Living Thorpe Grange in 1939. ESTHER BARKER. Born March 1740. Died July 1776. Dau of Thomas & Ann Horner. Married 23.1.1764 to Timothy Rider. of Masham. ESTHER BARKER. Born C1851 Ilton. Dau of Mary of East Witton. Married William Weatherhead. of Hill Top House Ilton. ESTHER JANE BARKER. Born C. 1880 healey. Dau of George & Anna of Pott Hall Ilton. ETHEL MARY BARKER. Born C. 1886 Sawley. Dau of Mark & Ellen. Unmarried in 1911. 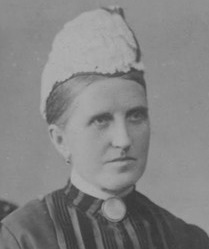 EVA BARKER. Born C. 1899 Grantley. Probably dau of Annie [b.1883] Def. grand dau of John of Sawley. EVA LILIAN BARKER. Grand dau of John of Grantley. Married on 11.9.1937 at Winksley Church to Albert Baul. son of Joseph of Grantley. EVELYN BARKER. Born 23 Feb 1920. Dau of George & Amelia. Spout House Healey in 1939. FLORY BARKER. Born C.1903 Grantley. Niece of William & Hannah. Living Littlethorpe in 1911. FRED BARKER. Born 18 Oct 1908 Grantley. Son of Herbert [The Cartman] & Lizzie. Married to Marjorie H. [born 1908]. A forester living Winksley in 1939. GEORGE BARKER. of Kirkby Malzeard. Married Mary Dixon. of Grewelthorpe on 16.1.1750. GEORGE BARKER. Bap. 5.11.1783. Son of Edward of Bramley Grange. GEORGE BARKER. Born C.1820 Ramsgill. Widower in 1881. living Laverton with his son John.[b1857]. GEORGE BARKER. Born C. 1843 Pott Hall Ilton. Married to Anna of Cowling. GEORGE BARKER. Born C. 1856 Kirkby Malzeard. Son of William & Anne. A conductor on the Leeds tramways. GEORGE BARKER. Born 16 Nov. 1885. Married to Jane H. [born 1893]. He was a woodman living Fearby in 1939. GEORGE BARKER. Born 5 Nov 1886. Married to Amelia [born 1891] Sheep & Dairy farmer at Spout House Healey in 1939. GEORGE BARKER. Born 1887. Died 1940 Grewelthorpe. Son of John & Annie. Lived Spout House Farm, Colsterdale, Healey. GEORGE BARKER. Born C. 1892 Kirkby Malzeard. Son of Mary Jane. Grocer’s Assistant in 1911 in Morley. GEORGE ASCOUGH BARKER. Bap. 6.8.1905 Grewelthorpe. Son of Thomas [The Miller] & Eleanor Ascough. lived Lincoln. It is possible that George died before 1911. On that census it is reported that Thos & Eleanor had lost 2 children out of 5. GEORGE BARKER. Born 5 Sept 1908 Grewelthorpe. Son of Peter & Maggie Banks. Married to Eugenia Mary [born 1910]. Dairy farmer. High Bramley Grange. HANNAH BARKER. Born 1845. Dau of Christopher & Elizabeth of Eavestone. HANNAH BARKER [Nee ?]. Born C. 1862 Kirkby Malzeard. Married in 1893 to William. Living Littlethorpe in 1911. HANNAH JANE BARKER Born C. 1886. Dau of John & Mary Ann. HARRIET BARKER [Nee ?]. Born C. 1875 Dallowgill. married in 1897 to John. HARRY BARKER. Born C. 1887 West Cothingworth. Son of Sarah of Pateley Bridge. Labourer in Saw Mill in Haworth 1911. HERBERT BARKER. Born 27 Aug 1877 Grantley. Married to Lizzie of Grantley. [born 1878] An Estate Cartman in 1911 & 1939 living in Low Grantley. IVY BARKER. Born C. 1907 York. Dau of Thomas & Eleanor Ascough. of Grewelthorpe. JAMES BARKER. Born Aug 1749. Son of Thomas & Ann Horner. JAMES TEASDALE BARKER. Born C. 1820. Buried 4.1.1849 Kirkby Malzeard. [Ref. Par.Reg]. JAMES BARKER. Born 1828 Kirkby Malzeard. Died 1898. Son of Thomas [Basketmaker] and Jane Calvert. He was a coachman in Leeds. Married to Elizabeth Pickford. JAMES BARKER. Born C. 1846 Grantley. Married Levina Kenyon. [b.1853] Septon. Living Honley York in 1891. JANE BARKER. Born 1842 Kirkby Malzeard. Died 1911 in Nottingham. Dau of Thomas [basketmaker] & Jane. Married Robert Dodgson. in 1865. He was a leather Finisher. JANE BARKER. Born C.1854 Dallowgill. Dau of George of Ramsgill. She was his Housekeeper in 1871. JOHN BARKER. Born October 1735. Son of Thomas & Ann Horner. JOHN BARKER. 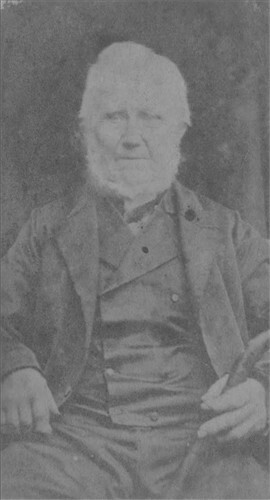 Born 1829 Kirkby Malzeard. Son of Thomas [Basketmaker] & Jane Calvert. JOHN BARKER. Born C.1846 Markington. Son of John [Stonemason] He was a Mason when he married on 26.11.1870 at Kirkby Malzeard to Mary Wood. of Kirby Moor. [b.1846] Dau of Henry Wood. JOHN BARKER. Born C. 1851 Dallowgill. Son of Matthew [Game Watcher] & Margaret of Laverton. Married to Jane Ann [b.1864] North Stanby. In 1911 he was a Farmer & Head Game Keeper. Living Mallaby House, Dallowgill. JOHN WILLIAM BARKER. Born C. 1851 Kirkby Malzeard. Son of William & Anne. Went to Manchester to learn butchering. See report at end of Matricide Trial. JOHN BARKER. Born C. 1852 Sawley. A Widower & Estate Foreman in 1911 at High Grantley. 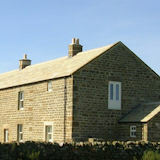 Barn Conversion at Grey Green Farm. Now holiday accomodation. JOHN BARKER. Born C. 1853 Warsill. Son of Thomas & Mary. Married to Alice [b.1855] of Aldfield. Living Markington 1891. Farmer & Corn Miller. JOHN BARKER. Born C. 1857 Dallowgill. Son of George of Ramsgill. JOHN BARKER. Born C1861 Spout House, Healey. married to Annie of Agra, Healey. Farmer healey in 1911. with wife and 3 children. JOHN BARKER. Born C. 1875 Dallowgill. Grandson of George of Ramsgill. Married in 1897 to Harriet [b.1875] of Dallowgill. In 1911 living Wakehill Grantley. JOHN WILLIAM BARKER. Born C. 1875 Sawley. Son of Mark & Ellen. A Gardener in 1911 and a widower. JOHN BARKER. Born C1858. Buried 20.7.1901. Grewelthorpe.[M.I.] Married Letitia Metcalfe. in 1900. JOHN FRANCIS BARKER. Born C. 1885 Pott Hall Ilton. Son of George & Anna. JOHN WILLIAM BARKER. Born 16 Oct. 1906 Grantley. Son of Herbert [the cartman] & Lizzie. Married to Audrey [born 1907]. Living Laver View Winksley in 1939. A Farm Lab. JOHN BARKER. Born C. 1910 Lincoln. Son of Thomas [the miller] & Eleanor Ascough. of Grewelthorpe. JOHN H. BARKER. Born 23 Sept 1917. Son of George & Amelia. Shepherd & farm Manager at Spout House Healey in 1939. JOSEPH BARKER. Born March 1738. Son of Thomas & Ann Horner. JOSEPH BARKER. Born 1840 Kirkby Malzeard. Died 1916. Son of Thomas [basketmaker] & Jane. Married Ann Catherine Varley. in 1871 in Bramham. He was a workhouse Master. Later in 1911 he was a clerk’s solicitor. He had 4 children. JOSEPH BARKER. Born C.1847 Carlsmoor. Died 1917. Son of Christopher & Elizabeth of Eavestone. In 1870 Married Alice Cundall. [1852 – 1914]] Dallowgill. Uncle of Rosanna Cundall. [b. 1879] Carlsmoor. Uncle of John Swiers. [b.1892]of Pateley Bridge. LETITIA BARKER [Nee Metcalfe]. Born 1867. Buried 25.11.1937 Grewelthorpe.[M.I.] Dau of William & Mary Metcalfe. Married in 1900 to John. Lived Crosshills Grewelthorpe. Sister of David Metcalfe. was for many years a Sunday school teacher and member of the PCC in Grewelthorpe. LUCY BARKER. Born C. 1873 Dallowgill. Granddau of George of Ramsgill. LUCY BARKER. Born C.1885 Markington. Dau of John [Cornmiller] & Alice. MATTHEW BARKER. Born C. 1824 Laverton. Married on 17.11.1849 at Kirkby Malzeard to Margaret Calvert.[b. 1826] Laverton. Game Watcher in 1861 at Mallaby House. MARGARET BARKER. Born C1804 Dallowgill. Died C1869 at Swetton. Buried Kirkby Malzeard. Married John King of Dallowgill in 1835. MARGARET BARKER [Nee Calvert]. Born C. 1826 Laverton. Dau of William Calvert. married to Matthew the Game Watcher. MARK BARKER. Born Feb 1744. Died June 1833 Grewelthorpe. Son of Thomas & Ann Horner. MARK BARKER. Born C. 1851 Eavestone Sawley. Married in 1873 to Ellen [b.1853] of Skelding Grantley. He was a Labourer on the roads. MARY BARKER. Born C. 1792. Buried 21.3.1841 Kirkby Malzeard. Ref. K.Mal Parish Reg. MARY BARKER [NEE ?] Born c. 1810 East Witton. 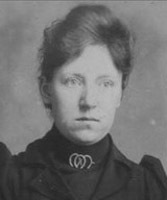 Widow in 1891. Living with dau Esther. MARY ANN BARKER. Born C. 1854 Kirkby Malzeard. Died as an infant. Buried 8.5.1854. MARY BARKER. Born C. 1859 Dallowgill. Dau of George of Ramsgill. MARY JANE BARKER [Nee ?]. Born C. 1865 Kirkby Malzeard. Married for 15 years. A widow in 1911 in Morley with 3 children. Dressmaker. MARY ANN BARKER [Nee?]. Born C. 1866 Dallowgill. married in 1884 to John. They had 2 children. MARY ANNA BARKER. Born C. 1875 Healey. Dau of George & Anna. Living Pott Hall Ilton in 1891. MARY ELIZABETH BARKER. Born C. 1885. Dau of John & Mary Ann. MARY ELIZABETH BARKER. Born C1889. Dau of John & Annie. of Spout House, Healey. MARY ELLEN BARKER. Born C1899 Dallowgill. Dau of John & Harriet. MATTHEW M. BARKER. Born C1830 Masham. Unmarried in 1871. Living with sister Mary. In 1873 owner of land returns shown as owning 212 acres in Masham with a rental of £149.6s. MICHAEL BARKER. Born C1833 Kirkby Malzeard. Died 1898. Son of Thomas the basket maker & Jane Calvert. Michael also a basket maker. MURIEL KATHLEEN BARKER. Born C. 1907.Sawley. Probably the dau of John Wm. [b. 1875]. NELLIE BARKER. Bap. 10.2.1907 Grewelthorpe. dau of Peter & Maggie Banks. of Thorpe Grange. PETER BARKER. Born C1811 Healey with Sutton. A Farmer in 1861 in West Witton. Married to Isabella. In 1871 they were at Spout House, Healey. with 6 children. PETER BARKER. Born C1862.Healey. The son of Peter & Isabella. A widower when he married Maggie Banks. [b.1885] of Grewelthorpe in 1906. Living Thorpe Grange, Grewelthorpe in 1911. He died 1942. PHOEBE BARKER. Born C.1884 Markington. Dau of John [Cornmiller] & Alice. REGINALD E. BARKER. Born 4.11.1924. Son of Ernest & Sarah A. Cowman living Thorpe Grange in 1939. RUTH BARKER. Born 26 April 1864. Died 11.6.1951 Kirkby Malzeard. Dau of Anne [b1837]. Ruth was an elementary school teacher living in Lancashire in 1911.Living Kirkby Malzeard in 1939 [retired]. SARAH BARKER. Born C1810 Masham. Dau. of Edmond & Mary Hanley. Married John Hawkin. in 1830. SARAH BARKER [Nee ?]. Born C.1852 Pateley Bridge. Living Haworth 1911. SARAH JANE BARKER. Born C. 1854 Galphay. Dau of Matthew [Gamewatcher] & Margaret Calvert of Laverton. married Robert Henry Chandler lived Carlsmoor. THOMAS BARKER. 20.4.1705 Sourmire. Son of Mark & Frances. Married 21.2.1734 to Ann Horner. of Masham. THOMAS BARKER. Born April 1747. Son of Thomas & Ann Horner. THOMAS BARKER. Born C1797 Burton Leonard. A Basket maker & sexton Living Kirkby Malzeard in 1871 a widower. He died June 1897 Kirkby Malzeard. Married Jane Calvert? of Tholthorpe. THOMAS HANLEY BARKER. Born 1813 Masham. Died 1876. Son of Edmond & Mary Hanley. Lived Hovingham. He was a member of the Royal college of Surgeons.In 1851 he was a widower. In 1871 he was a GP. married to Eliza. THOMAS BARKER. Born C. 1828 Grantley. Married to Mary [b.1834] of Littlethorpe. 1891 living with his son John in Markington. THOMAS BARKER. Born C.1834. Buried 27.11.1842 age 8. [Ref. K.Mal. Parish Reg.]. Son of Thomas [Basketmaker] & Jane Calvert. THOMAS BARKER. Born C.1878 Fountains. A Miller. Married in 1900 to Eleanor Ascough. [b. 1878] of Grewelthorpe. [See Ascough page]. In 1911 living Lincoln with 2 children. Out of their 5 children 2 had already died. THOMAS BARKER. Born C.1879 Markington. Son of John [Cornmiller] & Alice. WILLIAM BARKER. Born C.1811 Kirkby Malzeard. Married to Anne of K.Mal. See the report about William Barker and Anne and William Wood [Tailor] of K. Malzeard. on the Wood page. WILLIAM BARKER. Born 1827 Kirkby Malzeard. Son of Thomas [Basket maker] & Jane Calvert. Married Mary Whitehead and lived in Lancashire. He was a grocer & Basket maker. WILLIAM BARKER. Born C. 1861 Grantley. married in 1893 to Hannah of Kirkby Malzeard. [b. 1862]. A Roadman working for the District Council. Living Littlethorpe in 1911. WILLIAM ARTHUR BARKER. Born C.1898 Morley. Son of Mary Jane. Grocer’s Errand Boy in 1911. Report in The Morpeth Herald. Saturday 13 June 1874. & York Herald 9th June 1874. THE KIRKBY MALZEARD MATRICIDE. The young man, John William Barker, 23, who is charged with the murder of his mother Anne Barker age 52, at Kirkby Malzeard, near Ripon, under the circumstances already reported, by cutting off her head with a hedging bill, was on Monday brought up on remand at Ripon, for examination previous to commitment. The Court-house was crowded, much curiosity being exhibited to obtain sight the prisoner, who is now considered insane, and certainly looks so. Mr. Marsden, the West Riding solicitor, prosecuted, instructed the Chief Constable. Mr. Batson, of Harrogate, appeared for the prisoner, and elicited in the examination of the father William Barker and a younger brother Alfred Barker of the accused, who were the principal witnesses called, that he had for two or three months back, and since an attack of quinsey, been exceedingly singular in his habits, moping in the house, or lying in bed all day. It was stated that he had been very fond of his mother, and it was denied that he had struck her, except once, a few days ago. The father said that a short time since he had gone to see the assistant-overseer about the prisoner being admitted into an asylum, and, it was added, that his grandmother was at one time confirmed a lunatic. The police-officer who apprehended the accused found him in the arm-chair, while the deceased lay in pool of blood in the cellar. The Prisoner, after the usual caution and much hesitancy, said he had nothing to say, and was then committed to Wakefield for trial at the Leeds assizes.The verdict from Leeds Assizes [August 1874] was that John William was acquitted through insanity and will be detained in gaol during her Majesty’s pleasure. Reported in Leeds Intelligencer July 1852. James Carr, charged with stealing, on the 3rd June last a piece of beef, the property of George Barker, of Kirkby Malzeard, He was found guilty, and sentenced to one month imprisonment.